This eulogy for Paul Haskey was delivered at his funeral on 19 March by his son Simon. My father was born on 14th April 1942 in Keighley, West Yorkshire. At the time of his birth his father – my grandfather – was away in the Royal Navy fighting the War in the Far East. So Dad was two and a half years old when he met his father for the first time, coming home at Keighley railway station. Dad spent his first few years with his mother and grandmother, and Aunty Irene and Uncle Jim, all in the same house. He was taught to read and write by the ladies and his lifelong love of sport came from Uncle Jimmy who taught him football and cricket. After his father left the navy in 1946, the family were given the keys to the first purpose-built prefab in Ingrow. Two years later, in 1948, his sister Lesley was born. Dad went to the local Ingrow primary school and showed early academic promise. He duly passed the 11+ exam to win a place at Keighley Boys grammar school. Academically he went from strength to strength and was one of the top achievers at the school. He was also captain of the rugby first XV. The local newspaper even printed a caricature of him when his team were joint winners of the Ingrow Sevens Tournament; 42 teams from across Yorkshire and Lancashire competed. When it came to sixth form choices he wanted to pursue languages, as this was his best subject, but the school was keen for him to continue studying the sciences. He continued to excel in science and then spent an additional year preparing for S-level exams in the hope of securing a place at one of the Oxbridge colleges. He was successful and was awarded a place at Gonville and Caius College Cambridge, going up in the autumn of 1961 to read for an Honours Degree in Natural Sciences. I am told that he was a conscientious, hardworking undergraduate who was an example to those with whom he shared rooms in the college. While he undertook many hours of solitary study, he relaxed by playing bridge and the guitar, and rugby for his college. At weekends Dad spent many an hour in the college buttery. When he exclaimed to his friends he felt like a King, they promptly gave him the nickname ‘the King’, which stuck with him throughout his college years. Over the years Dad supported his college and regularly attended reunions at Caius. Dad graduated from Cambridge in 1964 and decided to pursue a career in the oil industry, specifically oil exploration. He moved south and joined Seismograph in Keston as a graduate trainee. He spent the first few years in the field abroad in Africa, including Nigeria, Mozambique (where he learned to speak Portuguese), Angola and South Africa. One crew used helicopters to travel from camp to the line. Dad said that the early morning flights after a festive evening were not the most enjoyable, particularly as the pilot wasn’t particularly careful about the sensitivities of his passengers. On one trip Dad had to lean out of the airborne helicopter ‘super hero style’ and use a machete to chop off a rope carrying the boat below when it became entangled with the back helicopter blade. My parents met when Dad was living near Downe as mum was also working at Seismograph; this was the start of a successful and supportive long-term partnership. Mum and Dad got married in 1970 and I was born two years later while Dad was working for his last extensive period abroad, in Oman. On returning to England in early 1973, my parents first bought a house in Biggin Hill, then bought a cottage in Keston Avenue two years later. My twin brothers Edward and Alex followed soon after that. My father continued to pursue his career in the oil industry and from 1973 worked for several iterations of a new start-up company. Based in Victoria, then in Bromley, it eventually become Horizon, locating to Swanley in 1975. Ultimately he became director of research, but finished his career with Scott Pickford in Croydon. He was recognised internationally as an expert in seismic processing, particularly in the fields of imaging and inversion. Dad always had an active leisure and social life outside of work. When we were young I remember a significant amount of time travelling around during the holidays with windsurfers on the car roof. On one notable occasion we managed to lose a sail on the notorious M25 and had the police help us retrieve it before it unravelled across the whole motorway. In more recent years he was an active member of the Ravensbourne Morris, a keen walker and sang with the Croydon Male Voice Choir. He also enjoyed spending time with his grandchildren. One such walking group formed with his friends, known as the Radox Ramblers, christened Dad ‘the Weatherman’ due to his uncanny ability to ensure that the rain stayed away. Water, ironically, featured in one dramatic instance when John Jackson (a fellow Yorkshireman) fell into a canal in Exeter when stepping from a canoe on to the quay. The group rushed forward to offer John assistance and ask how he was. Dad’s contribution was different. "Is your wallet OK, John?" he asked. To which John replied: "Yes, thank you, there speaks a true Yorkshireman!" Other friends remember the occasion at the annual Haskey Christmas party, when, to everyone’s astonishment, he produced a huge piano accordion, lent back, and with his fingers flashing across the buttons and keys, played a gypsy piece perfectly and with great gusto. I have also had it confirmed that Dad never spoke ill of anyone and was very generous. His breadth of knowledge was amazing and he spoke with authority on subjects from Plato to the planets. His final few years were spent combining an active life with a barrage of chemotherapy and blood transfusions which he bore with incredible fortitude. He will be sorely missed by his family, many groups of friends and colleagues as we can see here amongst us today. I personally will miss his level-headed counsel and a drink or two at the Greyhound on a summer’s evening. 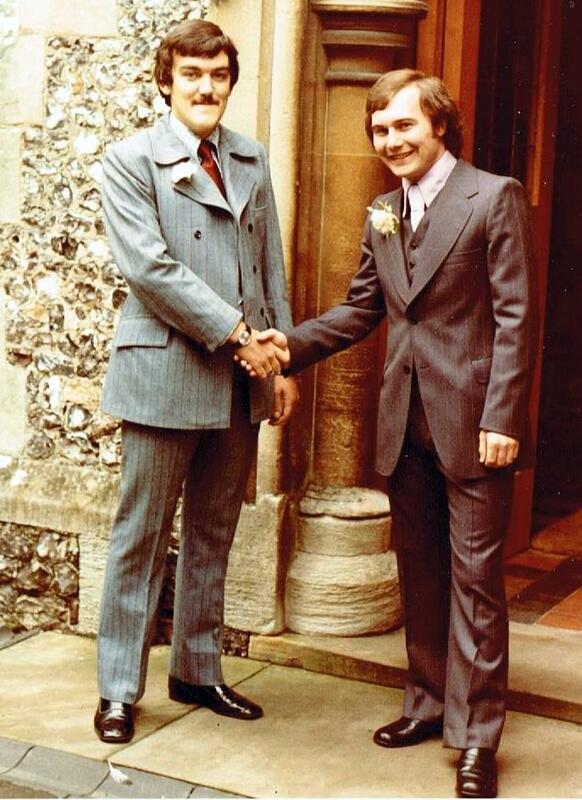 I first met Ian in 1975 as the new master in charge of my Under 16 rugby team at Caterham School. 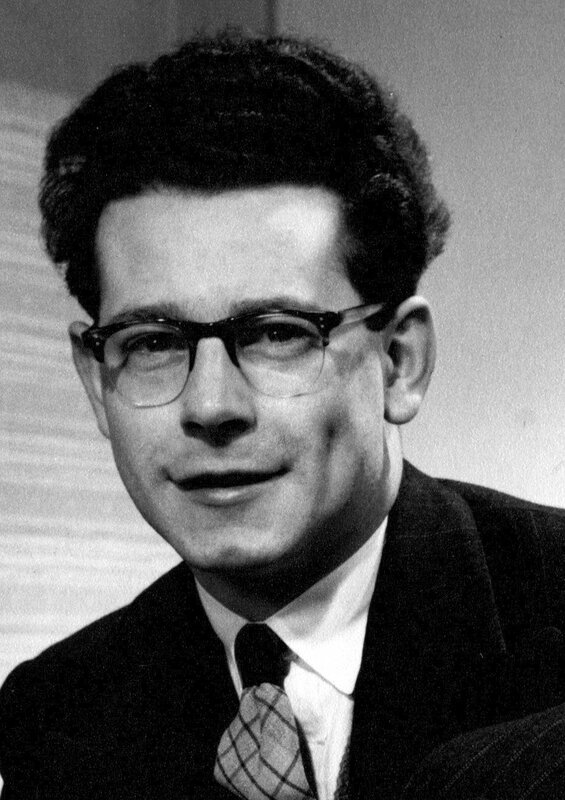 Who was this slightly built bookish-looking economics teacher with glasses and curious Scouse accent? What does he know about rugby? How dare he move me, this athletic Number 8, into the second row where all they do is push in the scrum? However we were soon to find out how good Ian was, as in those days pupils versus staff matches were allowed - ideal opportunities for pupils and staff to exact revenge on each other. We watched many so-called “hard” sixth formers getting absolutely mullahed every time they tried to run past or through the diminutive Ian. Ian was born in Birkenhead on 15 September 1947. His father Alec had been a teacher but this never seemed likely to be Ian’s long term career. Although super-organised, a great communicator and dedicated to his charges, patience wasn’t his strong suit. It was no surprise that shortly after I left school, Ian changed career to work for Christie and Co as a commercial property valuer. Over the years we used to enjoy his stories about his hard life visiting and trying out luxury hotels in exotic locations. Once in North Africa, Masterchef was being filmed at the hotel he was valuing and he was one of the diners required to sample the contestants’ offerings. The clip of Ian uttering “The lamb was delicious” on prime time TV was soon circulating round his many friends. Rugby was Ian’s real passion and he played it to an exceptional standard. He went up to Christ’s College Cambridge in 1967 and played many times for the university against first class opposition. He would surely have got a blue but for two problems. One was the fact that there were only fifteen in the squad in those days as no subs were allowed. The other problem was that a certain Gerald Davies was occupying Ian’s position at centre. Having failed to get a Cambridge blue, Ian was creative: he moved to Oxford to do his teaching qualification. Unfortunately, although again playing for the university, he didn’t get a blue there either! 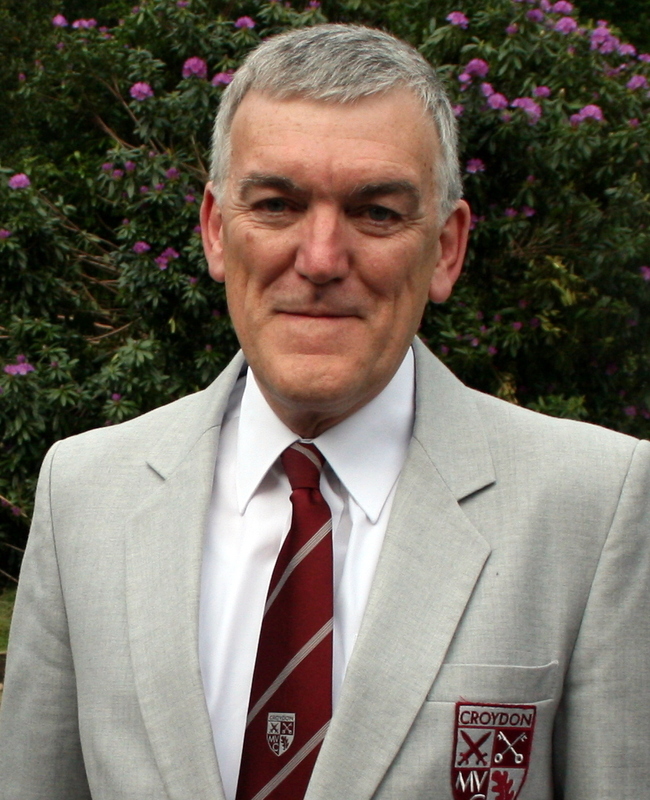 Ian’s first teaching post was in 1971 at Bedford School where he joined Bedford Rugby Club, which at that time played at the top level. In 1975, he moved to set up a new economics department at Caterham School. He joined Purley, the local rugby club, thereby meeting his future fellow choristers Ralph Osborne, Martin Perkins and the late Mansel Barnes. Ian’s quality and leadership were soon recognised and he was elected captain for the 1977 season. The club benefited enormously from the pupils and staff from Caterham School who followed him and joined Purley. Although he stood down after one season as captain he was soon elected club secretary. During this time he organised a number of tours including to his brother’s club in Garches, near Paris. The tour to Valencia in Spain allowed him to demonstrate his lifelong penchant for nicknames as Ian (aka Senor Citizen) produced a tour programme with every player allocated an appropriate alias. El Bo, El Onnerth, El Owello, Juan Tumenni, Don Payin and Muchos Pesetas are just a few examples. Ian’s last game of rugby was on the Lions tour to Australia in 2001 where he got up early after the Melbourne test and turned out for a former Purley member’s local club. Martin Perkins and I were on that tour but were nursing hangovers in bed, missing the game but arriving for the beer afterwards. Ian was proud to say he had then played rugby in six decades since his debut at Birkenhead School in 1959. Ian took up skiing in his early 40s, which is relatively late in life. This accounted for his unique style, so different from the classical elegance of his offspring Emma, Andrew and Jeremy. In his funeral eulogy Ian’s brother Chris likened the style to that of a defecating dog. Ian came to love skiing and organised expeditions all over Europe and further afield to Chile, Argentina and Canada. I and many others benefited so much from his organisation and leadership on these tours and all the fun that we had. Ian was a choir supporter and came to our concerts for many years. Having heard him sing (tunefully!) at rugby and skiing for nearly 40 years, I finally persuaded him to join as a singing member in 2013. He loved the camaraderie of the choir: its rehearsals mirrored rugby training, concerts mirrored matches and of course the celebrations in the pub afterwards were even better than rugby as the singing was more accomplished. There were even tours with all the fun and games he enjoyed so much. This obituary is based on the eulogy, with some additions, delivered by John Evans of the Croydon Welsh Society at Ray’s funeral in Eastbourne on 16 June 2017. Ray came from Blaenavon in South Wales. He was a true Welshman – as we say in Welsh, 'Cumro i'r Carn', a Welshman to his core. He loved being Welsh and felt that being Welsh was a privilege. He loved the culture, the traditions, the language, the sport – anything to do with Wales. Ray first worked in a tin processing plant where he lost a finger in an accident. He next worked as a lorry and coach driver, later starting his own coach company. Then he turned to selling insurance, but was still driving coaches to the age of 70. He was a keen supporter of the Welsh rugby team and spoke about rugby with great passion and considerable knowledge. He had a strong interest in football too. He played until he was 50 and coached the local youngsters as well. His interest in music and his good singing voice led him to join Croydon Male Voice Choir in 2004, and since then he always made new members feel very welcome. He stayed in the choir until he and his wife Jan decided to move to Eastbourne, largely for the sake of Ray’s health, in 2015. Ray enjoyed compiling quizzes and for many years arranged the annual quiz for the Croydon Welsh Society. He had the knack of compiling questions that were testing, and left you feeling that if you did not know the answer, you should. He conducted the quizzes in his own inimitable way, ably supported by Jan, and together they made an excellent team. Comments on the many cards of condolence focussed on his great sense of humour, his ready smile and the twinkle in his eye when he teased or told a joke. There were many references to his good nature and his kindness and, as someone wrote: “A genuine down-to-earth person". Ray showed a strong interest in the RNLI and had great admiration for the volunteers who go out in all weathers, and he truly believed in the institution. He was instrumental in raising a large amount of money for the Welsh Memorial in Flanders which commemorates the Welsh Soldiers who died in World War One. It includes a magnificent representation of a Welsh dragon on a plinth of Welsh slate. Jan and Ray attended the unveiling ceremony in 2014 . Ray was a true friend who was very supportive and professional in all he did. Despite not enjoying good health, he retained a great spirit and showed great courage and fortitude. We remember a life full of kindness and laughter which exemplified the human spirit at its best. This tribute to Ben, who died after a short illness on 26 February 2017, is by his daughter Ruth, who delivered it at Ben's funeral in Chislehurst on 21 March. His mother always called him dependable, which he didn’t like as he said it made him sound boring – Dad you were anything but! Born in Fulham, in May 1948, Dad was the second of five siblings and part of a much wider family of aunts, uncles and cousins. His father, who was from a farming family in County Sligo, came to Britain at the age of sixteen and was a construction worker. His mother came from Yorkshire. Named Brendan, he was universally known to his friends as Ben. Dad read French and Spanish at University Hall, Buckland, part of the University of London, graduating with a good honors degree and it was here that he met Mum, who was reading French and English. They were married in August 1972 – Dad sporting a now-legendary maroon suit and turquoise shirt. Parenthood beckoned with the arrival of me, then Claire and, once Dad had honed his parenting technique, Frank. We all remember Dad reading chapters of The Hobbit and The Lord of the Rings aloud of an evening and family holidays, where Dad was always willing to build sandcastles and jump waves. He encouraged us to try local food whilst abroad – often at Royan in France – and although his pleas were usually met with stubborn resistance, none of us will forget when Frank tasted, and finished, Dad’s fish soup, offering a plate of cold meats in return – something Dad gently teased Frank about regularly. After university, Dad joined the Immigration Service, using his language skills – having added Greek to his repertoire. Living in a small village in Kent, Mum needed the family car and so Dad settled on an alternative form of transport to work. I have a vivid memory of Dad, on a petrol pedal bicycle, peddling off down the road until the engine sputtered into life. He told me, many years later, that his journey on that small motorbike, down Jubilee Way into the port of Dover, with the HGV lorries passing him at speed, was what prompted him to invest in a “proper” motorbike – he continued to own and ride a “proper” motorbike until last year. Working at the port occasionally enabled Dad to speed the journey of family – his brother remembers returning from Paris in the early 70s, waiting at the back of a long line of cars, when he was directed to the Special Treatment lane by a stern looking Immigration Officer – who leant through the window saying: “Tell Sue I’ll be home in time for dinner!” before sending them on their way. In 1980, it was Dad’s new posting – he was in the enforcement division, based initially at Adelaide House by London Bridge – that brought us up to Orpington, close to where he grew up, and where he lived for the remainder of his life, not counting three months spent at the High Commission in Lagos in 1985 and a three-year liaison posting in Paris in 1995. He retired from the Immigration service after 37 years, having made many friends along the way. Dad took up golf as a way to encourage his father out of the house following the death of his mother. He called himself a streaky golfer and we have many, many memories of listening to stroke-by-stroke accounts of Dad’s rounds over the years – usually told with good humour even when describing sometimes numerous attempts to get out of a bunker or recounting the number of balls lost in a round. A casual job in the shop at a nearby golf course in his early retirement not only kept him busy, but led him to make new local friends, with whom he could enjoy 18 holes. He also enjoyed several golfing holidays at Myrtle Beach in South Carolina with his brothers and friends. Dad returned to another of his passions in retirement – music. After singing with the Snowdon Male Voice Choir during his years in Dover, Dad’s family life and shiftwork patterns conspired to limit his opportunities to sing, but he never lost his love of music. He taught himself to play the guitar and encouraged us all to listen to a wide range of musical styles as we grew up – from Elvis and the Beatles to Edith Piaf, as well as classical composers such as Fauré, Strauss and Rodrigo. As a family, we developed a Christmas Eve tradition of singing Christmas songs and carols before bedtime, Dad on his guitar, accompanied with tambourines and bells or our own instruments as we grew older. Dad rekindled his enjoyment of singing as part of a choir when he joined the Croydon Male Voice Choir. With a tenor voice, Dad enjoyed the challenge of learning new pieces, as well as rediscovering those pieces previously sung. In addition to regular concerts in local venues, choir tours and events took Dad to sing in many iconic places such as Bath Abbey, Winchester Cathedral, and the Royal Albert Hall, as well as overseas to Belgium, France and Holland. Such was his commitment to the choir that he became a committee member and held the post of Treasurer for the last seven years. The choir provided a new source of friends for Mum and Dad, and when I would enquire about potential babysitting duties, I would need to fit in around choir socials! Dad took to the role of Grandad with relish and he was actively involved with his grandchildren from the start. A huge source of support and wisdom during our early years as parents, he would offer quiet encouragement or a shoulder to cry on, as well as practical help – he helped lay a carpet at our new house, as I was in hospital after the birth of our first child. Always willing to support his grandchildren at school events, he would join in singing Elephants Have Wrinkles with as much enthusiasm as Handel’s Messiah. He was extremely proud of his grandchildren as he watched them grow up, and Dad was always delighted to hear of their achievements. A thoroughly modern Grandad, he would exchange WhatsApp messages with his granddaughter, and talk with his grandsons about their successes over Skype – such was my Dad’s influence, that he converted his youngest grandson, James, to the Tottenham Hotspur’s cause, even though James’ dad was a lifelong Chelsea supporter! Honest, sometimes to the point of bluntness, Dad could be relied upon to give you a truthful opinion when you sought his advice – even if it wasn’t the answer you wanted to hear. We all valued his counsel on major decisions that we have made in our lives – he was rarely wrong! Dad, you will be missed. The advice and wisdom you passed on, through our lives, will guide us all going forward. Your presence will always be felt and your spirit will live on through your children and grandchildren. This tribute to Bob Platt, who died on 26 December 2015, is by his daughter Katharine, who delivered it at his funeral. Robert (Bob) Platt was born in November 1929 in Mile End, East London, one of ten siblings. Bob recalled seeing the buildings around St Paul’s Cathedral ablaze as the family fled from the East End during the Blitz. Later he was evacuated with other family members, first to Swindon and then Newcastle. 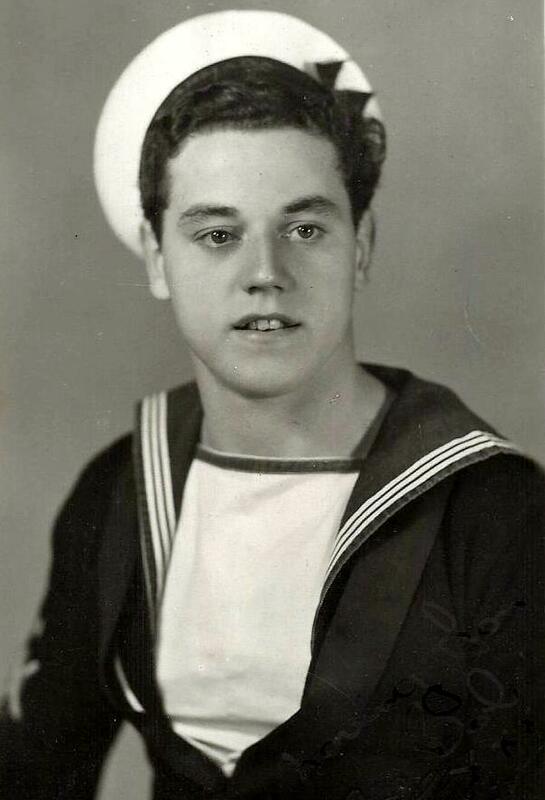 In 1948, when the time came to do his National Service, he joined the Royal Navy for what he always called the ‘best seven years of his life’. With acute hearing, he was selected for specialising in anti-submarine detection. The Navy provided him with tremendous opportunities, not least travelling to many places around the Med. 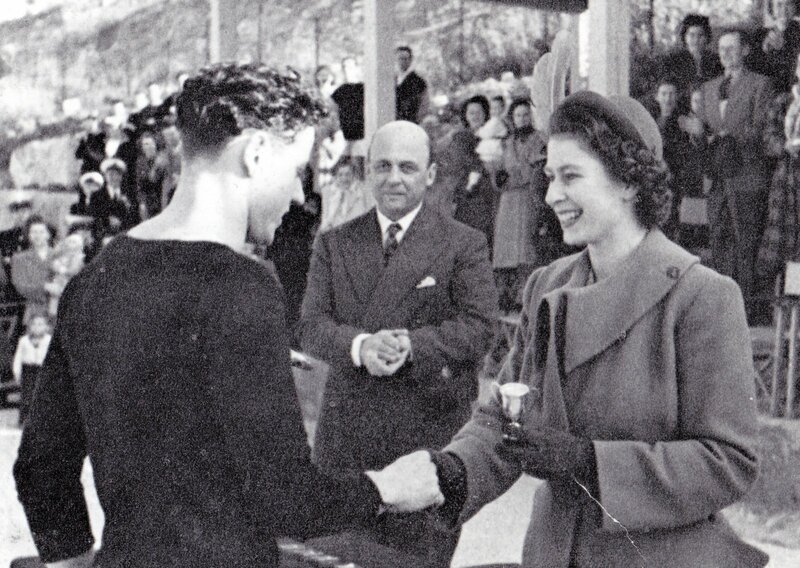 Off duty, he enjoyed taking part in athletics for which he achieved particular acclaim, one of his proudest moments being in Malta where he was presented with a trophy for a cross-country race from Princess Elizabeth - the future Queen. Following active service, he remained in the Reserves and settled in Croydon, resuming his craft as a joiner and eventually opening Platts Woodwork Centre, which served the people of West Croydon for 38 years until he retired. He had a strong rapport with his customers, and few left his shop without having been entertained. He was a born performer and music was a huge part of his life. He took part in many productions with CODA (Croydon Operatic and Dramatic Association) and in 1995 he joined the Croydon Male Voice Choir. He adored Bing Crosby, and for years he formed a strong partnership with his pianist friend Tony Budd and sang his 1930s favourites in pubs. Later he entertained residents of care homes, singing and telling jokes, together with fellow CMVC members George Stevens and on occasion Alf Perrin. Bob relished the camaraderie he experienced as a member of the CMVC. He accompanied the choir on tours in Britain and abroad, and especially looked forward to each ‘après’. For Bob, singing with a pint in hand was the perfect combination! Sadly, ill health forced him to step down from the choir in 2010, but at home he continued to sing constantly, including his choir favourites, Moon River and Asleep in the Deep. Bob passed away peacefully on Boxing Day 2015 after a short illness, having been able to meet his new baby grandson for the first time. This eulogy to David Binge, who died on 25 December 2015, was spoken at his funeral by his son Paul. The final words were written by David himself a few years before he died. In 1678 Edward Binge and Elizabeth Picken had a son, William. William had a son Edward and they lived in Cottenham, Cambridgeshire. Edward's son, also Edward, moved to Dry Drayton where in 1778 Allen was born. Allen's daughter, Elizabeth, arrived in 1808, and she had a son William. His son David was born in 1864 and in time moved to Croydon. When David was 38, his son David was born. With Florence Matthews, this David had three sons, the oldest of whom was Bill – otherwise known to his friends in the choir as Dave. Why all these Binges, you may ask? More of that later. Bill, who was born on 2 October 1928, began life in West Croydon, but soon moved to South Norwood. His brother Jimmy remembers that Bill wasn't one to play in the street. Instead he was always found with his head in a book. This served him well as on passing his 11-plus he moved from South Norwood School to Selhurst Grammar school for boys. On leaving school Bill worked for the Admiralty in Brighton and at a secret factory in Waddon, while also studying for a HNC in electrical engineering at Croydon Technical College. A brief spell as a shoe salesman ensued, with one customer returning the shoes he had insisting on buying from the shop window. These had fallen apart after a few days because the heat of the window had wrecked the glue. Tales have also been told around this time of cycling trips to Brighton – and back! Other tales related ice-skating on the roads on his way home from the rink in Coulsdon when the buses couldn't run, and running his mother-in-law down to the coast on the back of one of his many motorbikes so that she could visit her husband in hospital. 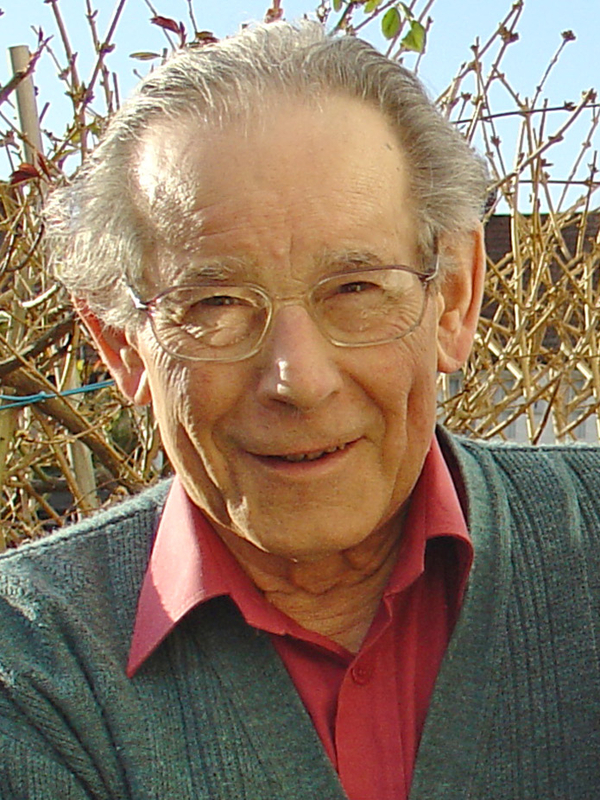 Returning to electronics, Bill joined ICL in 1952 and remained there until 1971. Meanwhile he met Margaret and they were married in 1957. They lived at first in Birchanger Road, then above a butcher’s shop in Portland Road. It was here one snowy night, after Bill had rescued the midwife from a drift, that John was born on Christmas Eve 1961. The family next moved to Brockenhurst Road and a month later, on 22 May 1963, the family was completed when Paul arrived. Some of Paul's first memories are of building the bonfires for Guy Fawkes Night together with the inevitable scares Margaret always got when the bangers went off. Life continued largely normally for many years, apart from Bill sneaking off on hush-hush government business to the top secret Fylingdales base in Yorkshire where he trained employees on the American early warning system. Annual family holidays to Mundesley in Norfolk remain a highlight but otherwise life for the Binges was unremarkable. Bill's love of singing led him and Margaret to join the Spring Park Choral Society and annual Gilbert and Sullivan fests ensued. The best parts that John and Paul remember were being allowed to clamber under the stage during while the hall was being set up. In 1971 Bill joined Burroughs Machines which was making the first cash-points. He stayed until 1984 and in that time made two business trips to the States. The second one was particularly stressful for the family as he was snowed in and only just made it back in time for Christmas. David (and we must call him this for a while to alleviate confusion) joined Croydon Male Voice Choir in 1975, a passion which continued until the end. A baritone, later a bass, he was a founding member and choir secretary for a time. He sang with the choir at the Royal Albert Hall and, with 800 others, in the Jubilee concert at the Fairfield Halls. His love of choral singing inspired him to join Ruskin Choral Society where he spent many a happy Wednesday evening. In the past few days it has been said that he will be especially remembered as a helpful and welcoming tutor to new members of both choirs. Bill always had a helpful and caring nature. 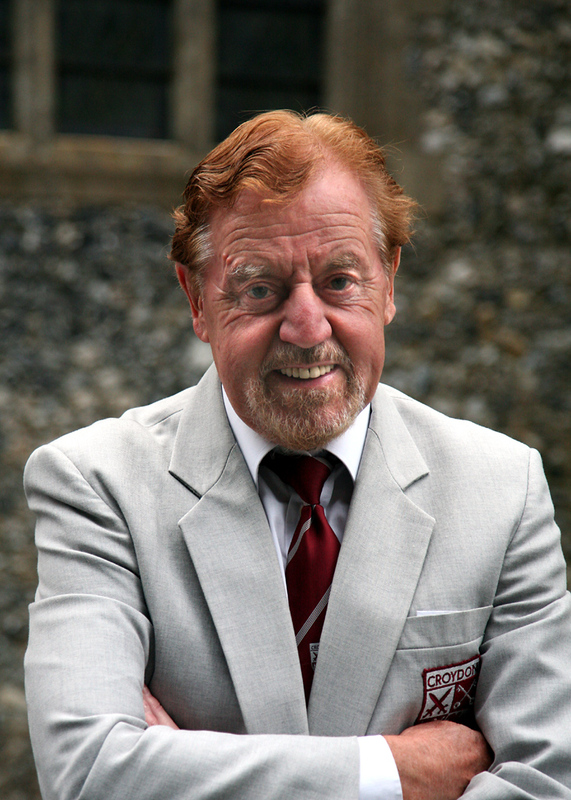 This led him to become chairman of Croydon Mencap, rubbing shoulders with Jenny Agutter amongst others. In the last few years, Bill helped out tirelessly at the Addiscombe Unity Club where his hitherto unrecognised talents as a bingo caller were put to good use. Back to where we started: since his retirement in 1983, computers, puzzles and genealogy kept Bill amused. A huge pile of research reveals the Binge lineage back to 1638. It extends forward to the smallest leaves on the tree, Abi and Zac, who will remember grandad's magic walking stick and his meanness at draughts. They, Sally, Paul, John and Margaret, and many of you here, will remember Bill as a sharp, witty, studious but ultimately kind-hearted person. 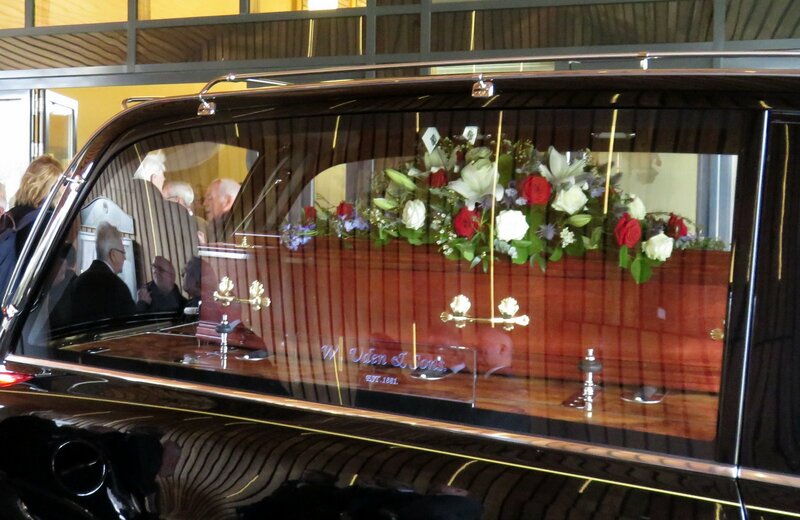 It isn’t usual, I know, for the fellow lying in his coffin to want to speak to you, but someone will probably stand up and tell you all about my past, where I worked, when I married and had children, and all the other things which make up a person’s life. I just want to say thank you - to my work colleagues, a lot of whom have gone on before me, and to all my acquaintances. Thank you to all the friends I have made through the various choirs I have sung in, to John Ruskin Choral Society and Croydon Male Voice Choir who I’m sure will be here today, and to Unity Club companions. Thank you to my larger family and to those I considered family even though they are not related, like Betty and Eddie. Thank you in particular to John, Paul, Sally and Abi and Zac. And ﬁnally, thank you to my helpmeet and partner of over 50 years, my Margaret. We both know that life is not a bed of roses, but we have stuck together through everything and our love for each other still burns as brightly.